You guys! I am SO excited to finally share this extra special project I’ve been working on!!! But just for kicks this year, I started brainstorming what would be the PERFECT gift for a teacher to receive. Admittedly, my list became a little outlandish, but it was so fun dreaming about some of my very favorite things that would, truly, make any teacher swoon. Then, because I’m wild and will do just about anything to put off grading research papers, I decided to actually attempt to create the DREAM TEACHER GIFT BASKET… I reached out to several of my favorite brands, and – thanks to their generosity + a few bonuses from yours truly – I was able to curate an AWESOME (if I do say so myself) collection of goodies for teachers. 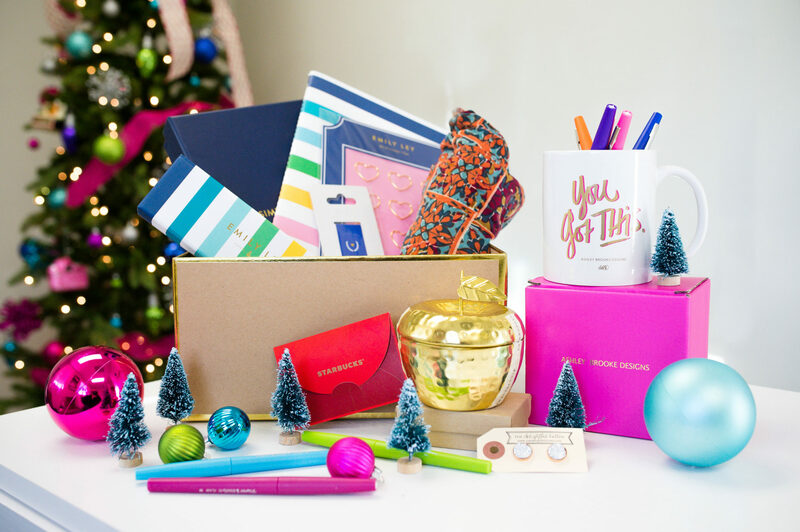 Any one of these things would make an AMAZING gift for a teacher; but, today, right here, one lucky reader/teacher is going to win THE WHOLE DARN THING. Yep, you read that right – I’m giving away ALL of the items shown below. Let’s break it down… What’s included? Paper Mate Flair Pens – Speaking of pens, these are my very favorite for marking student papers, and my students share my love for them. You’d be surprised how hard they will work for me if I let them write in purple or green! LulaRoe One Size Leggings – I knew I had to include these buttery soft leggings since I’ll be putting mine on as soon as I walk in the door after school tomorrow, and not taking them off until January 2nd. *Only a slight exaggeration. If you haven’t already jumped on the Lularoe band wagon, be warned, these leggings will steal your heart. MayDesigns Teacher Lesson Planner (in Emily Ley Happy Stripe) & Teacher Sticker Pack – Y’all, I was SO excited to get this in the mail and check it out for you… From one of my very favorite brands, this soft bound large notebook features a monthly spread at the beginning with room to record student birthdays as well as your own goals and reminders, a week spread with space to write plans for five subjects, and designated grid pages for all the extra notes etc. you need. Plus, this particular one is part of MayDesigns collaboration with Emily Ley and features her classic Happy Stripe. I LOVE IT. *The Teacher Sticker Pack isn’t shown, but – trust me – they are adorable!!! Ideal to dress up your plan book OR add a little fun to your students’ work, I can’t wait to use these myself!! Blue Page Marker – This is a little magnetized clip that can mark a page in any book or notebook, but I use mine – obviously – in my Simplified Planner to connect the calendar spread to the weekly pages. Heart Paper Clips – A teacher can never have too many paperclips; and, the way I see it, if you’re going to have tons of papers to keep up with, you may as well have a pretty way to do it! These heart paper clips are perfect for stashing notes, coupons, etc. inside your planner OR clasping stacks of work to be graded, etc. So…. how can you win this?!?!?! I know it’s a super busy time of year, so I want to keep this as simple as possible… All you have to do is leave a comment below with your name and what grade level/ subject you teach. *** If you aren’t a teacher yourself, you can enter a teacher-friend or even your child’s teacher – just comment with your name AND hers (plus, if you want, tell me why she deserves this)!! For bonus entries, you can follow me on Facebook and Instagram, Pin an image from this post and/or share the giveaway on social media. Please record all entries on the Rafflecopter tool below!! I will announce the winner on Tuesday (12/20) and mail the whole thing to the lucky teacher on Wednesday – just in time for Christmas!! Thanks again to Emily Ley, May Designs, One Delightful Button, LulaRoe Katie Bowling, and Ashley Brooke Designs for their donations that made a gift like this possible on my teacher salary!!! Photos by the amazing Trent Currin Photography!! P.S. I wish I could give one of these to every single one of you. Thanks for supporting my blog and, more importantly, for loving kids every day!!! You have SUCH an important job! Win or not, I hope you feel spoiled this Christmas and enjoy a much-deserved break with plenty of time for fun and rest!!! *The fine print: give away is only open to US residents. I’m sorry!!! I”m CrysHouse and I teach sophomores and juniors. I would LOVE to win! Jeanne Bordelon for Karen Douet-Wannamaker. She has taught my daughter twice in high school in AP English classes and passed on her infectious love for all things Jane Austen to my girl. She works at an all girls high school and loves all those sweet girls as her very own!! My name is Donna, and I teach high school English. What a fabulous gift basket! Thank you for the chance! My sister, Liz, teaches fourth grade. As a former high school social studies teacher, I’m always in awe that elementary school teachers have to cover ALL the subjects! Liz is an amazing teacher and would love to be spoiled with these treats! Amy, high school English teacher. Thanks so much! My name is Jessica and I teach high school agriculture and science. I help to run our FFA chapter of about 70 students who raise animals for the fair, perform research projects (we have 19 National Finalists this year), and compete in competitions like Parliamentary Procedure, Environmental and Natural Resources, Public Speaking, Ag. Marketing, Ag. Sales, Food Science, and more! This is my 4th year of teaching and every year when I think it will get a little easier, there seems to be another roadblock. Despite this, I know that teaching is my passion and I wouldn’t change this career for the world. The students that I see each day never cease to make me laugh and as you’ve mentioned, those high school kids sure help keep us young! I feel like I just graduated high school, but they sure make me feel old sometimes! I would love this basket as a bit of Christmas cheer this year. DeeDee Ward, high school English teacher. Thanks! Amanda Killough and I teach 7th grade Social Studies! Would love to win! Hi, I am Michelle Ekross, and I teach PreK-6 Art! My budget is less than 50 cents per student, so anything would help. Thanks! This is so sweet! And you’re right about the Starbucks gift card: always appreciated. My name is Emily, and I teach English to freshmen and juniors. Thank you! I am Sheila McIntyre and teach business/computers at high school. What a great pick-me-up — I would love to win! I’m Cheryll and I teach seventh and eighth grade social studies. I am Margaret Taylor and I teach AP / dual chemistry at Cave Spring High School. I think that Sara Cann and Kadie Pentecost deserve this as well. I am Sara Cann and I teach Biology & Chemistry at Cave Spring High School! I’m Marley Evans. I’ve taught Latin, Science, and English in private schools in the past. I am currently getting my MAT in middle level education, content areas Math, Science, and English. I am student teaching a mixed grade house of 5th through 8th graders in Williston, Vermont. Hi! I’m Eliza and I’m a second year HS English teacher, ACT team leader, and Prom coordinator at a Title 1 school. It’s a lot of work, but I love it and I love reading your blog! I’m Lauren, and I teach high school English! 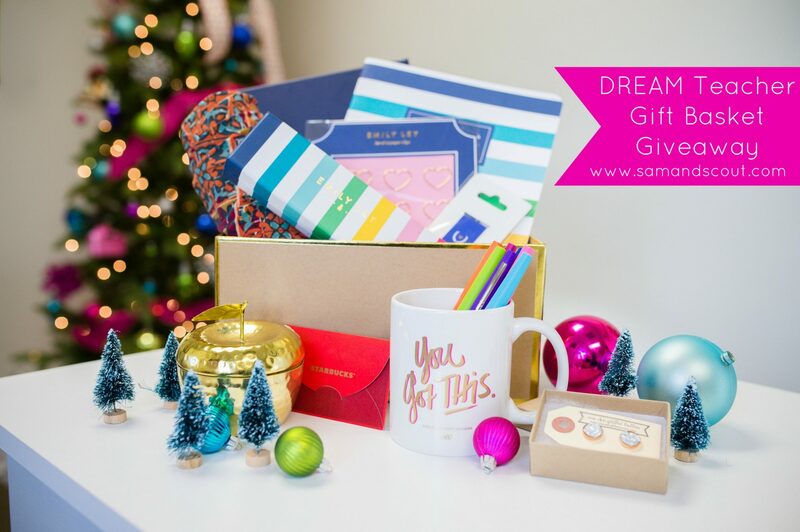 I am not a teacher– but Im nominating Whitney Barry, she teaches 5th at Cave Spring Elementary in Roanoke, VA–she such a wonderful teacher and new mom + she has started helping everyone with their LulaRoe addiction by becoming a consultant recently so I know she would love a little treat like this basket!! Hi! Megan Patrick here, high school English and Spanish teacher from southwest Virginia! I am Allie and I teach English to sophomores, juniors, and seniors. What an awesome giveaway! This is the literal perfect present for a teacher!! I’m Andrea and I teach 6th grade English in the SF Bay Area. Thank you for putting this together! Hi, E! I am Nicole. I have been reading your blog for ages- seriously before you had Sam! I had found you while looking for blogs related to education. After finally finishing my masters in May (!!!!) I got hired as the school psychologist for a vocational technical high school. My day is filled with students and counseling, IEP’s and meetings, and lots and lots of PAPERWORK!! Plus, I have a 9 month old so saying I am BUSY is an understatement! I already follow you on insta and FB but I will share this for my fellow educators to enter. Megan Helmick and I teach 11th grade American Lit. I’m Allie H., a teaching student planning to teach English to middle schoolers, but I am entering my friend Sarah K. who is a first year teacher teaching in Inner City Detroit with energetic second graders. I know she would absolutely be blessed and shocked by this giveaway. She works really hard to make sure her kiddos get as high quality of an education as the kids in the wealthy suburban schools less than an hour away from them. Thank you so much for your blog, it has been a huge encouragement to me as I prepare for my own teaching career. This is such a generous giveaway! My mom and I are both administrative support to teachers – she at an elementary school and I at a university where my husband is faculty. So while I’m not a teacher, my work is in doing all of the support work to make their jobs easier. I teach high school Family and Consumer Sciences. What a great giveaway! My name is Kristina Moore. I teach 11th and 12th grade English. I am also the high school teacher librarian. Jessica McGroary-10th grade World Literature! Merry Christmas! Super awesome basket! I have been teaching English III and IV and AP Language for 9 years across 5 different states. Kristen, I teach high school Physics. That candle is amazing!!! My name is Juliana Eshleman and I teach fourth grade! My Sister-in-law teaches 3rd grade – this is her first year teaching and it’s already been a doozy of a year. she totalyl deserves this! My name is Kirsten and I teach Juniors and Seniors in NJ! Katie Kroll, middle school ELA! Thank you! Alyssa Oswald, high school ELA. Thank you! For my son’s 3 + 4 year old teachers Ms. Kristen, Ms. Kate, and Ms. Theresa. I’m Ashley and I teach special ed Pre-K, children with autism. Love all of these! What a wonderful idea to spread holiday JOY! I am a 9th grade literature teacher and would love this awesome gift! My name is Aimee. I teach high school history. I’m Meagan and I teach 10th graders! Love this! I totally feel you on wanting all the Starbucks giftcards! I am Kate, and I teach 9-12th grade Art. I’m Rebecca and I teach high school English to sophomores and seniors and I AM ALMOST DONE! Just handed back the last stack of essays and collected the final exams… a few more hours to go! Hope you have a terrific holiday break, Elizabeth–and thanks for the chance to win this amazing basket! I’m Heather Brilhart and teach Grade 9 English and Yearbook Journalism to grades 7-12. I’m a new mom headed back to the classroom on Monday and would love this basket! I teach second grade and loooooove it!! Kim Shores, she teaches 1st grade in Birmingham, AL. She is one of my dearest friends and a GREAT teacher. I would love for her to win this. Kristy Louden. I teach English 11 and Public Soeaking in Alabama. Hey! I’m Alexandra (Ms. Patterson to my students) and I teach library skills to 9-12 graders. My name is Tori T. And I teach 10-12 Anatomy and Physiology. I had a simplified planner this year and was obsessed with it. I teach third grade and would love to win. My name is Kim and I teach 3-4 year olds at Head Start. I’m Allison and I teach high school English and journalism! Awesome giveaway! I’m Karen and I teach 12th grade English (standard and IB) and I’m also a literacy coach. Great giveaway! I hope you all have a wonderful Christmas, and I hope we get to see you! I’m Karen 🙂 I teach 3rd grade reading and Library Media Specialist! I’m Ali, and teach 7th and 8th grade Social Studies. Molly Bertles entering for Ashley Nolette, she teaches middle school English and bible and takes care of three kids and is super active in our church. She’s a rock star! My name is Stephanie and I teach high school English with sophomores and juniors. Love that mug! Taylor Closet….I’m a Librarian for grade K-4. My name is Bridget and I teach grades K-6th. 🙂 Thank you for doing this! Wow!!! What a beautiful gift!! I am in MA and would love to win. First and foremost though I am a mom to 2 little boys, Cole and Quin. I am a special education teacher at the Landmark Elementary Middle School. I work with kids that have LBLD: dyslexia, executive function disorder, ‘ADHD and usually anxiety. Thank you so much for putting this together when you teach and are a mom as well! I’m Jenny and I teach K, 1st, 2nd, 3rd, and 5th graders at a new start up classical school. Thank you for this giveaway. I’m Tracy and I’m a 6th – 8th grade school counselor. Thank you for putting his together! Enjoy your break! I’m Teryl and I work until the end of the 23rd. I could really use this basket. 🙂 Ok, pretty much everyone could use it. I’m Lauren and I teach 7th grade math! Tayleigh–high school English. What a great bunch of gifts! I’m Anne, and I teach English to 10th grade students. Thanks! I am a high school English teacher at a small rural school in Iowa. I teach all students grades 9-12. Love this teacher gift idea! Hello! Hearing itinerant teacher in the Chicago suburbs! I work with students 3-21 with hearing loss! Happy holidays! Hello, I’m Chelsea! I teach 5th grade writing. Merry Christmas! My name is Carrie S., and like so many commenters before me, I teach English. My chosen grade level, however, is middle school! My name is Elisabeth N. and I teach 5th grade General Ed. My name is Callie Wayt but my sister-in-law Casey Wahl is amazing! She teaches high school social studies at an urban alternative school. God granted her all the patience and an incredible heart for her students. Hello, my name is Katherine and I am a first year teacher and I teach English I; I am so happy to have survived my first semester! I’m Christina and I teach 10th and 11th grade history! Thanks for the giveaway! I’m Katie and I teach English Language Development to Kindergarten and 1st graders! Happy vacation to all of the teachers! I’m a high school science teacher; 10th grade Biology, 11th grade Chemistry, and a mixed 9-12 Computer Science course. I get a lot of my teacher goodies via a third-grade-teaching bestie…all the colors of goodie! My daughter’s teacher, Mrs. Rainey Perry, is so devoted to teaching her PreK students what it means to follow Jesus. Eleven years ago, her husband suffered a spinal cord injury. She herself endures autoimmune issues. However, she has an unfailing spirit, and she exemplifies how to trust the Lord through trials. What an awesome encouragement she is to everyone! I know this giveaway would brighten her day! I’m Megan Wichman. I teach 8th and 9th grade special education. I’m pretty proud of myself for reading a blog post, saving it, and then actually remembering to go back and enter the giveaway 🙂 Love all you do Elizabeth! Hi E, this is an amazing giveaway!! WOW!! I am sorry I am retired!!! BUT, I would like to nominate your sister, Kathryn. She is a counselor in a city school and does so many amazing activities with her kids. She completes endless amounts of reports, motivational activities, classroom study guides, etc… every day for her students and clients she sees outside the classroom. She would love, love love to win this!!! I know so many wonderful teachers, all are so deservant!! Hope they all, including you, E have a peaceful Christmas. Sarah, High School English and psychology. Currently should be marking midterm exams, but I’m here instead. Jennifer lynch. .. nominating my sister in law amanda walker. Would love for her to win! What a lovely giveaway! I will be a brand-new teacher in January, teaching high school English, and these items would be such a lovely help to starting out the new (and somewhat scary) job! Junior high language arts and social studies, up in Canada! My name is Christin Lewis, and I teach 4th grade. What an AWESOME giveaway!!! Meagan Brockway – high school history and economics! Bring on the holiday break! Hi! I’m Annie and I teach English to high school juniors. Wow! My name is Fara and I have been teaching kindergarten for 17 years. This is such an amazing giveaway. Kudos to you for brightening the spirits of those who brighten the spirits of 150+ students a day. I’m Codi Malott and I teach 10th grade English. Ps.. I just used your mock jury lesson at the end of my Twelve Angry Men unit, and my students loved it. Hello. My name is Cathy Hughes. I teach sophomore and senior English at Oneida Baptist Institute in Kentucky. It’s my first year teaching. Hi there! 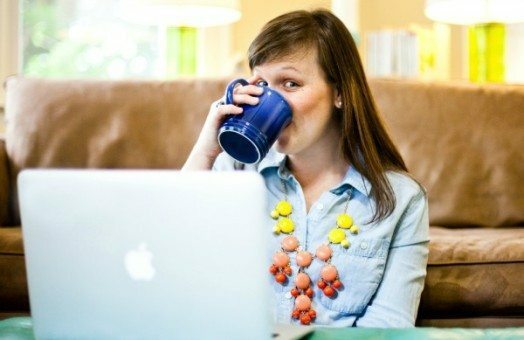 I’m Liz – I’m the English department at my small school and I’m a long-time blog stalker of yours. You’ve been the hugest inspiration and help to me – thank you!!! Everything in that basket is beautiful – I’m particular to planners, myself! Awesome basket! I’m entering for a friend. She teaches high school math! yikes! My name is Carol. My best friend teaches second grade. Her name is Renee and I would give it to her cause she’s an awesome teacher and friend. My name is Andrea Rust. My sister is a bilingual teacher and would be really blessed by this! My name is Beth, I am an elementary teacher librarian for grades PK3-5th grade. This is an incredible giveaway! My name is Jessica and I teach CD (4 year olds). This gift would be perfect! Thank you! I’m Amanda, and I teach high school English in North Carolina! My name is Sara and I teach high school, mostly sophomores and seniors. Thanks for putting this together! All these comments from teachers make me happy! It is like an online after school happy hour 🙂 Right now, I am teaching struggling readers 9-12 in Nebraska and am in the fiiiiinal throes of the semester. 4. more. days. (and yes, I am eye rolling that you, Elizabeth, are already on break). I’m Melissa and I teach ELA to 8th graders. My name is Jessie, and I teach 6th grade (all subjects). Here’s hoping this comment counts! Rafflecopter was giving me trouble. I’m Katy, I teach prek and I have an unhealthy loved if colored pens! I also shared this on Facebook, followed you on instagram and pinned this to my thank you gift board! Thank you so much for putting these ideas together! My name is Emmie and I teach 9th grade English and 11th grade history. I teach a self-contained class of students with autism, so I have multiple grades: first, fourth and fifth. I’m Lesley and I’m a K-12 educator. 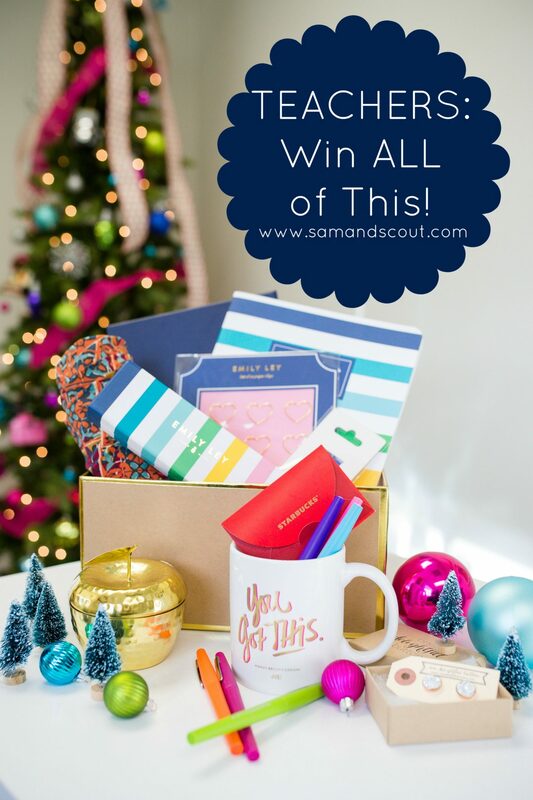 I love this giveaway and would love to win! Hi E! I am Leslie Garcia and I teach high school special ed. This giveaway is amazing! Hello there, my name is Shannon Hindsley and I teach 8th grade middle school Information and Communication Technology classes (Business Education). This would be the perfect gift for any teacher to enjoy! Pick me! I teach sophomores, juniors and seniors history. Thank you for the adorable and practical giveaway E! WOuld love this basket for my room! Oh I teach high school English and leadership! I love our daughter’s lead preschool teacher, Miss Sarah! She is so warm and nurturing. I’m Angie, and I teach English 12 and Journalism. Merry Christmas! My name is Melinda. I teach high school, and my subject is World History. I agree! ANY gift is appreciated as a hs teacher! Hi! I’m Leslie. I teach 10th grade World History and 11th-12th Psychology at Franklin County High School. Hi. I am Shelly and I teach Special Education at the high school level. Mostly biology but some English too. Would be honored to win. My name is Christina Smith. This is my second year teaching Second Grade. I am a blessed mother of 3 beautiful kiddos under the age of 7. I would love to feel pampered with this beautiful gift. Thanks for the opportunity. God Bless!